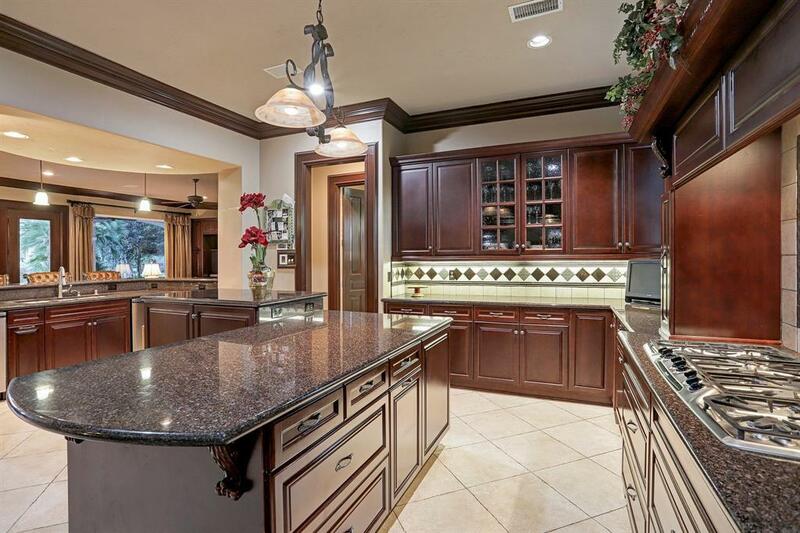 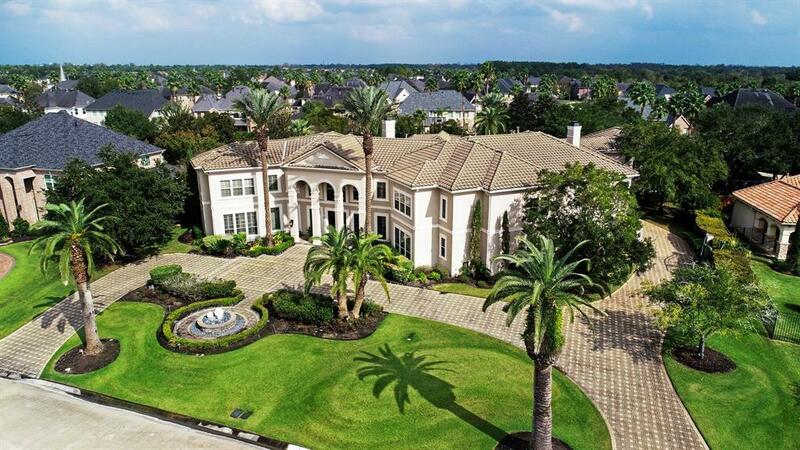 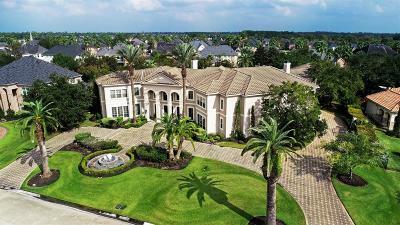 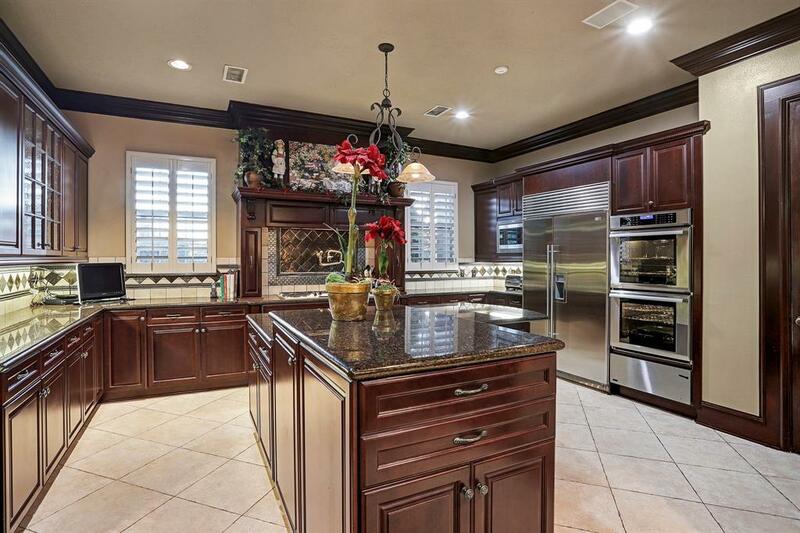 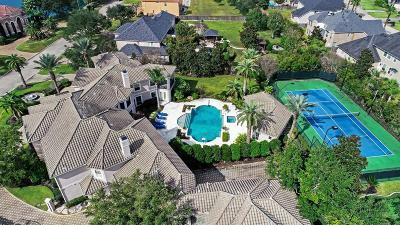 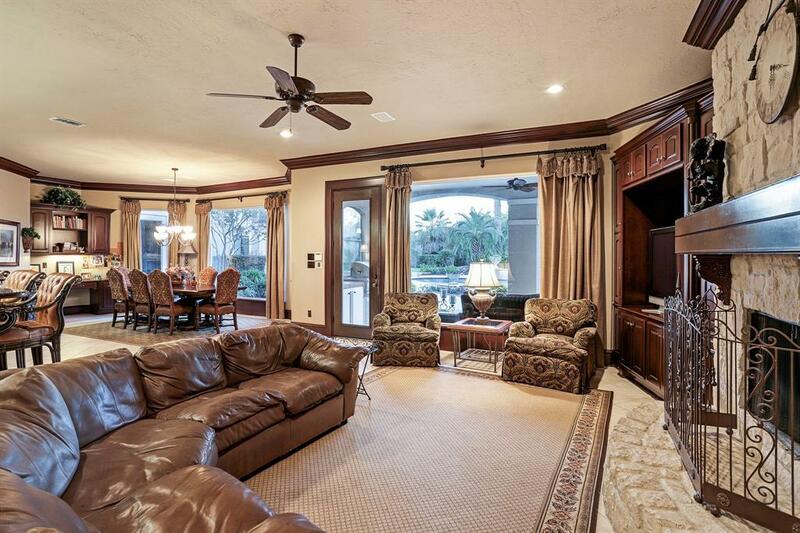 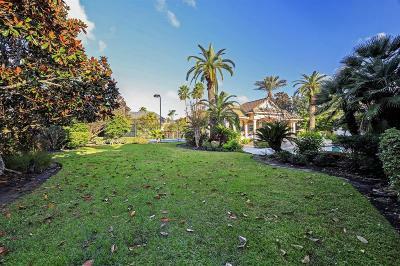 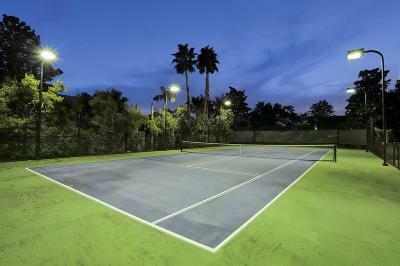 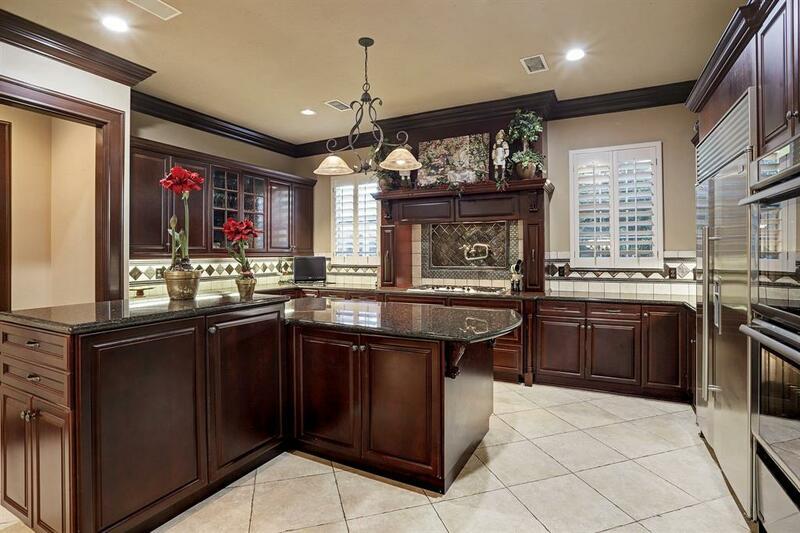 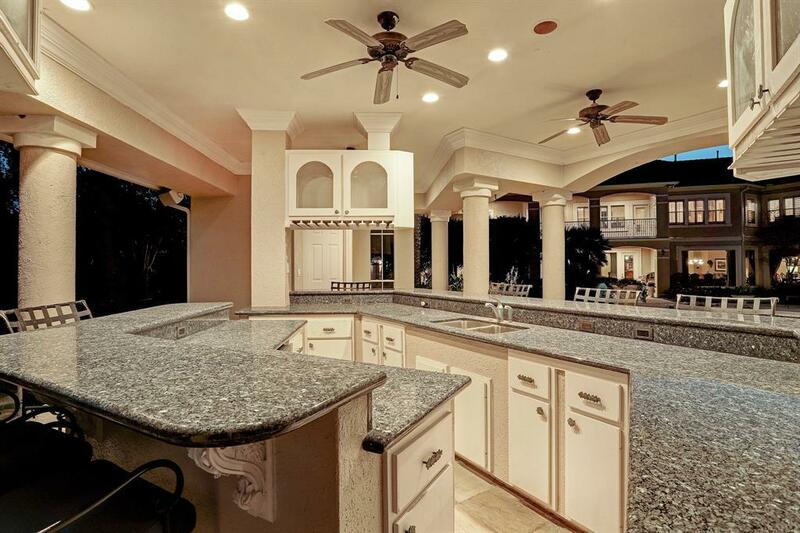 Estate w/lighted tennis court, putting greens, pool/spa/water feature + poolside âsports barâ on over 1 acre. 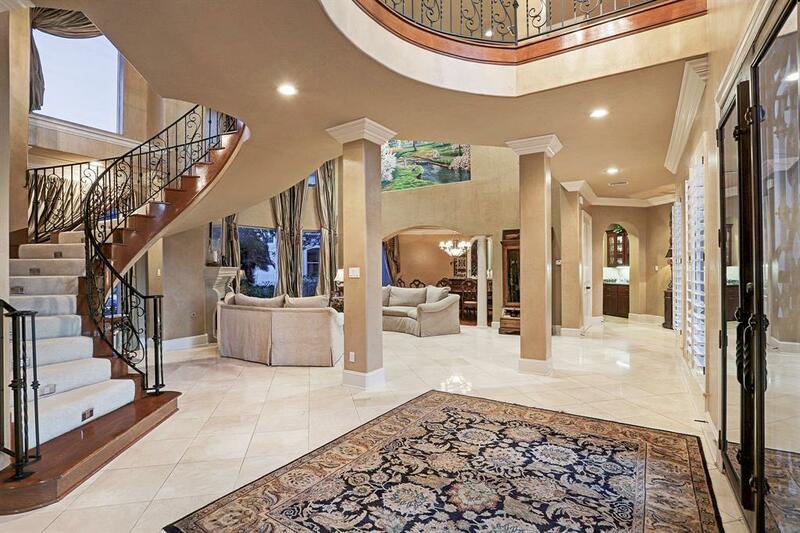 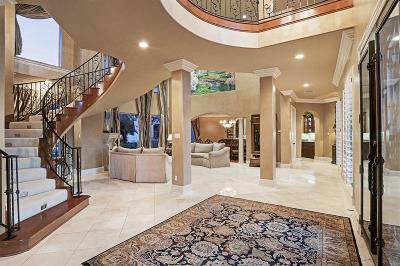 Entry doors w/transom to 2-story entry w/chandelier & staircase. 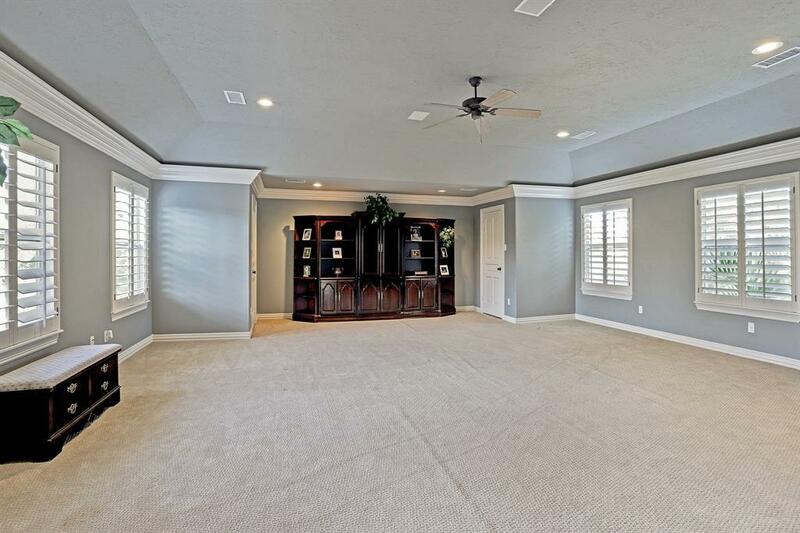 Gallery w/groin vault ceiling opens to LR/DR. Entertaining encouraged. 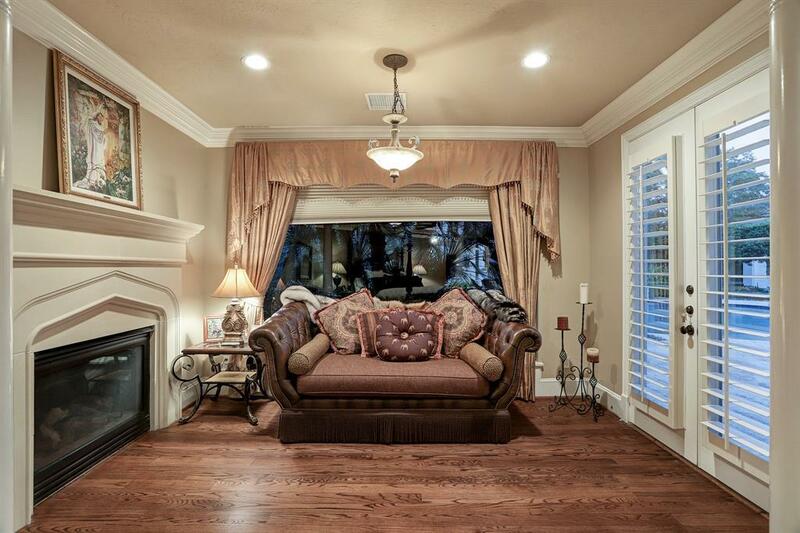 Fireplace anchors 2-story LR w/views of backyard oasis. 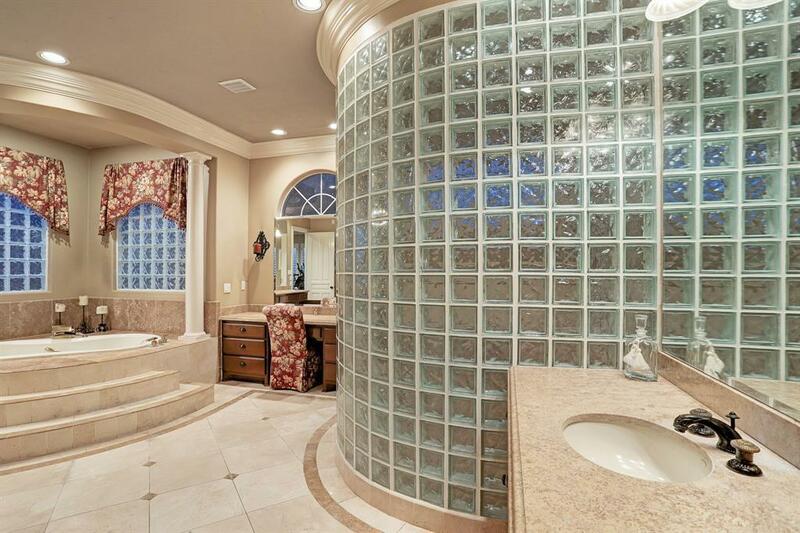 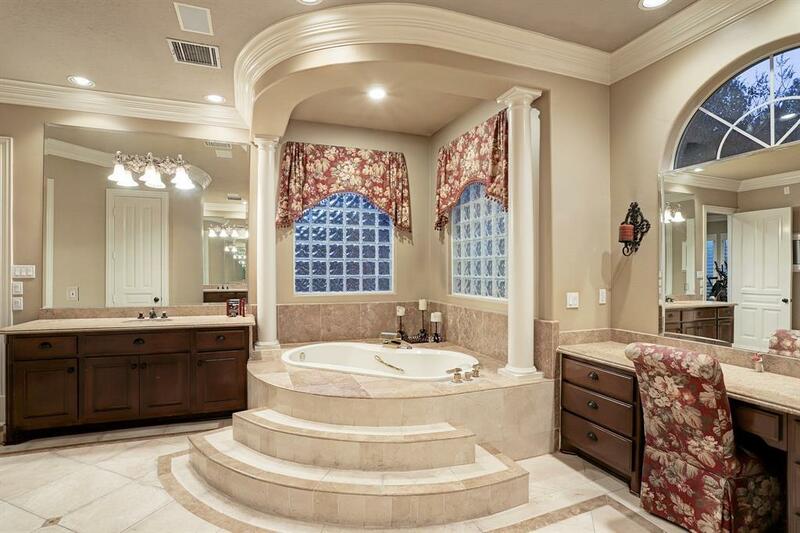 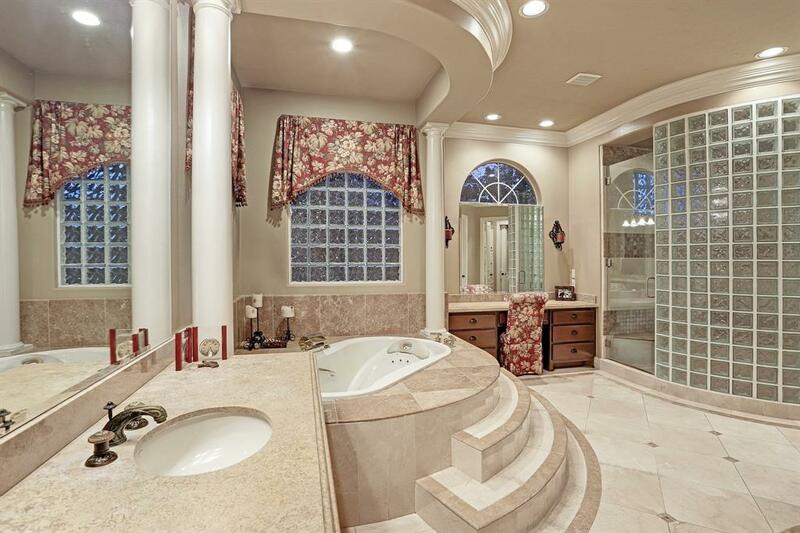 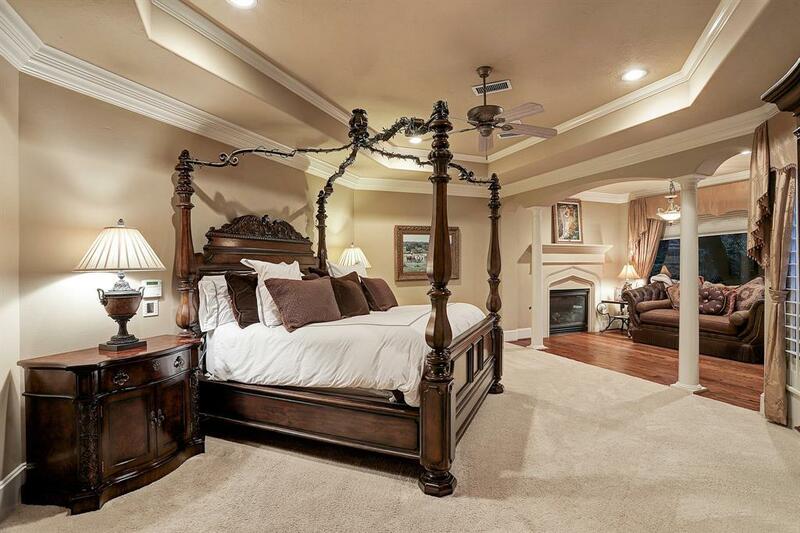 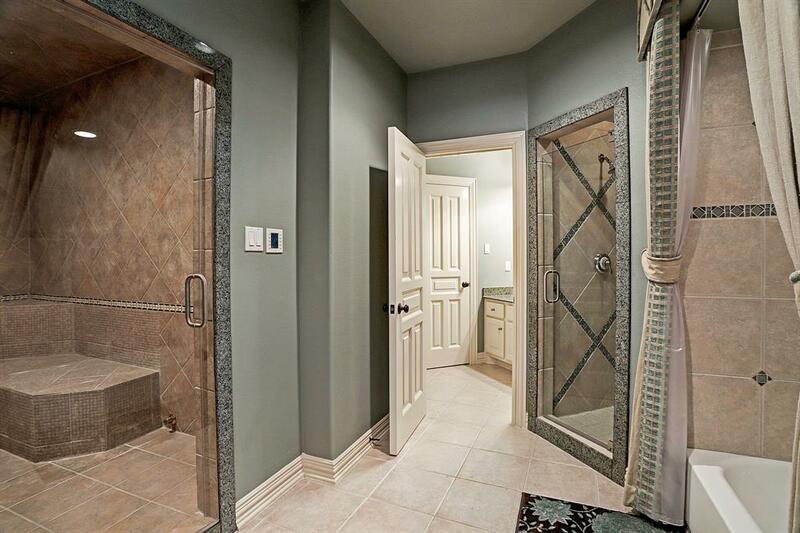 Master suite (DN) is BR w/sitting room, spa inspired bath incl marble vanities, shower w/frameless enclosure, jetted tub, private WC & lg walk in closet. 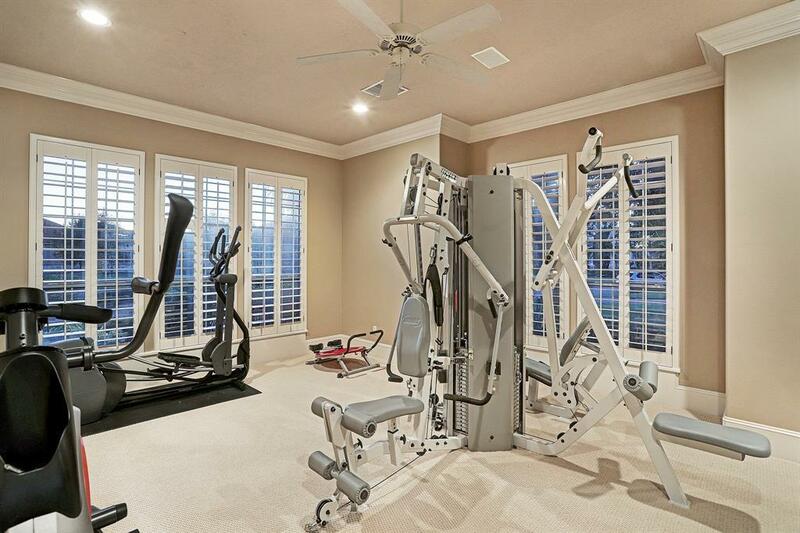 Adjacent exercise room or addâl mstr closet. 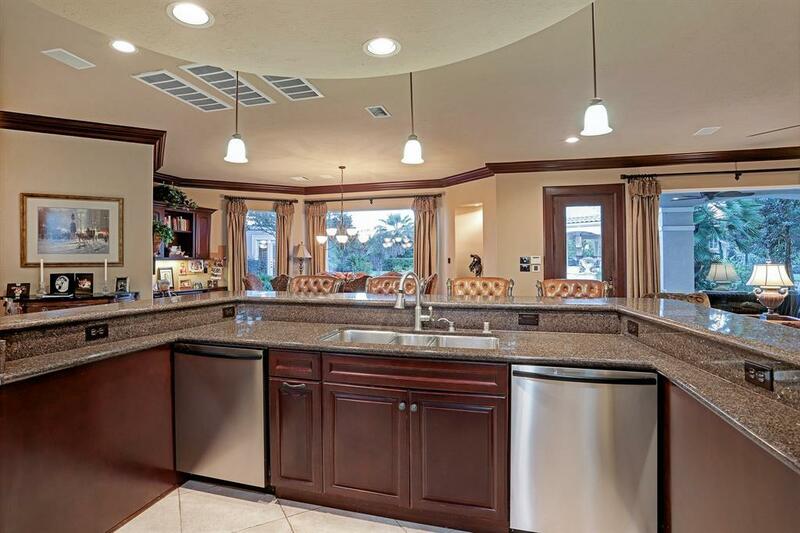 Bâfast room opens to family room & kitchen w/granite island +bar seating .Thermador appliances: 6-burner cook top w/ pot filler, 2 ovens, warming oven & microwave, 2 DW, & SubZero refrigerator/freezer. 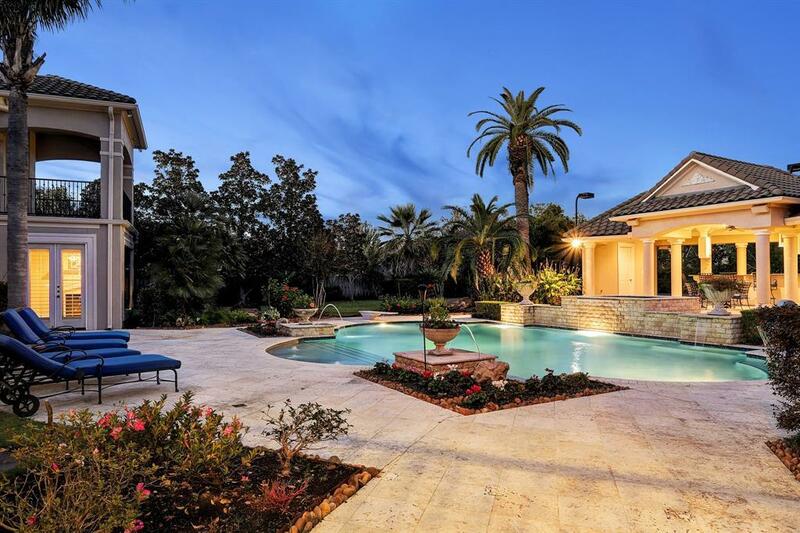 Resort style living at its best. 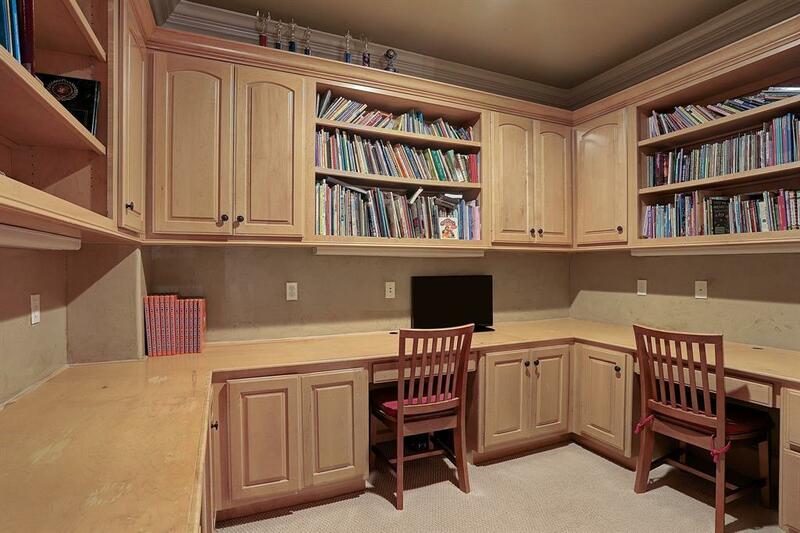 Up: study connects to childrenâs playrm w/full bath w/steam shower. 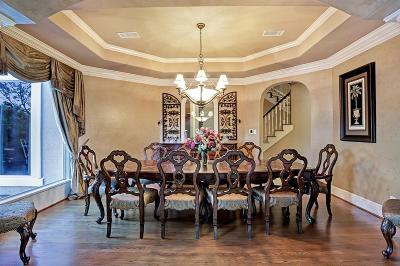 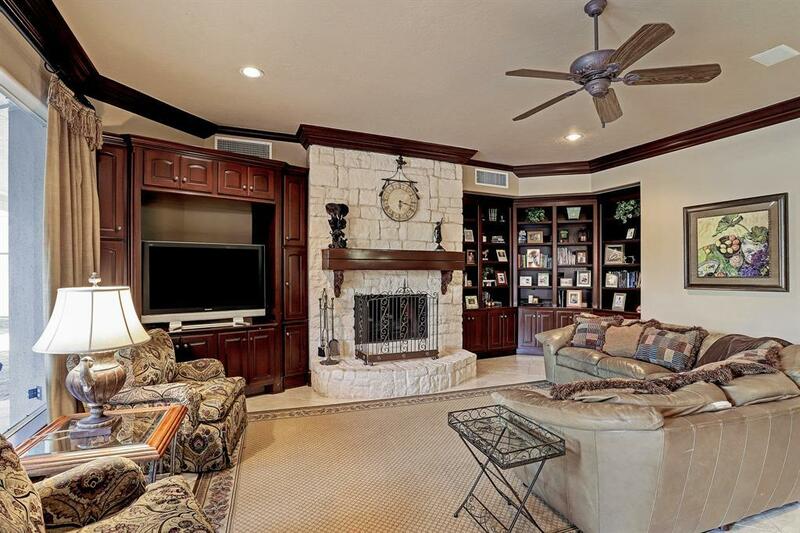 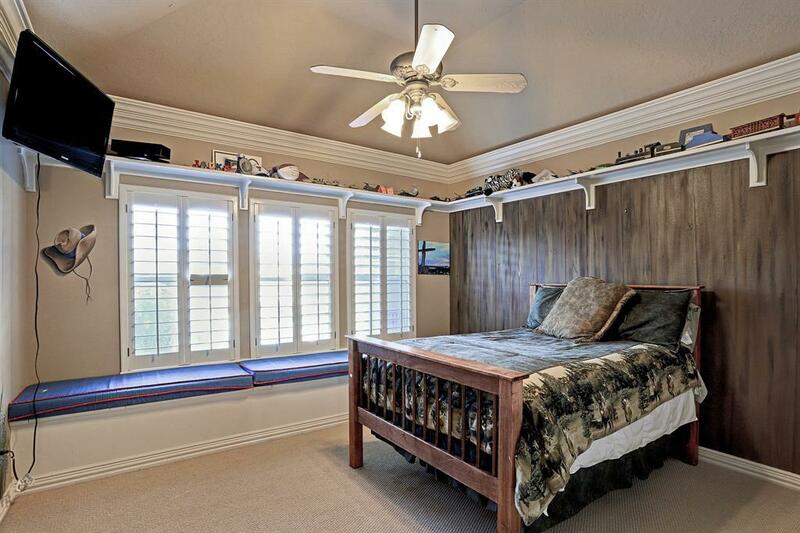 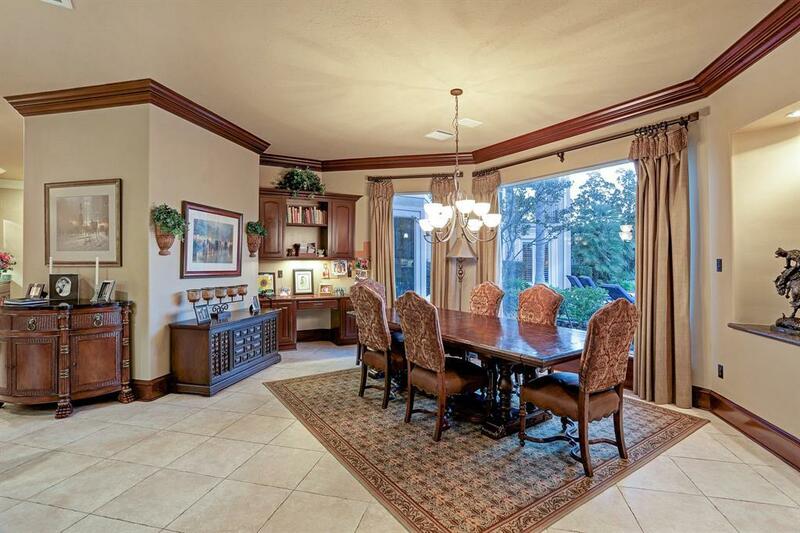 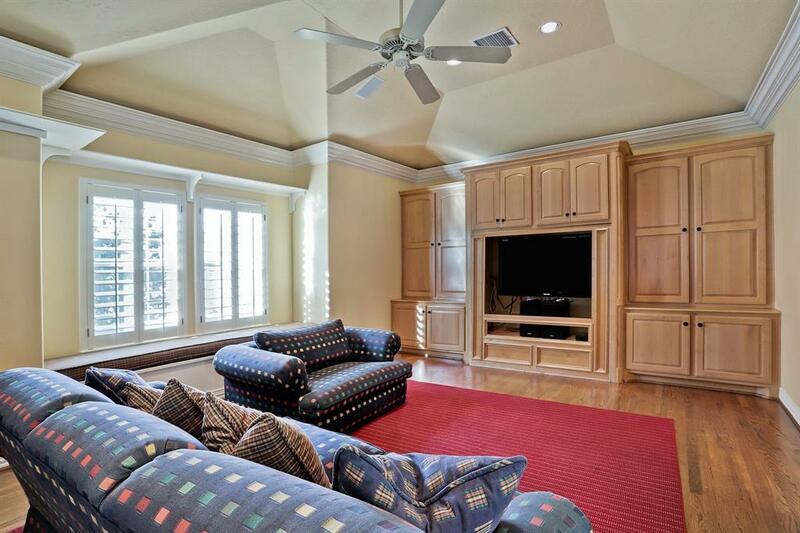 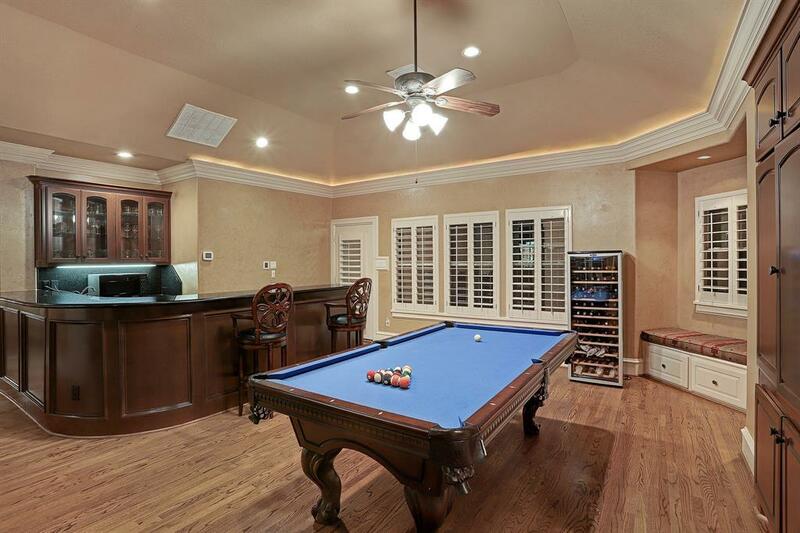 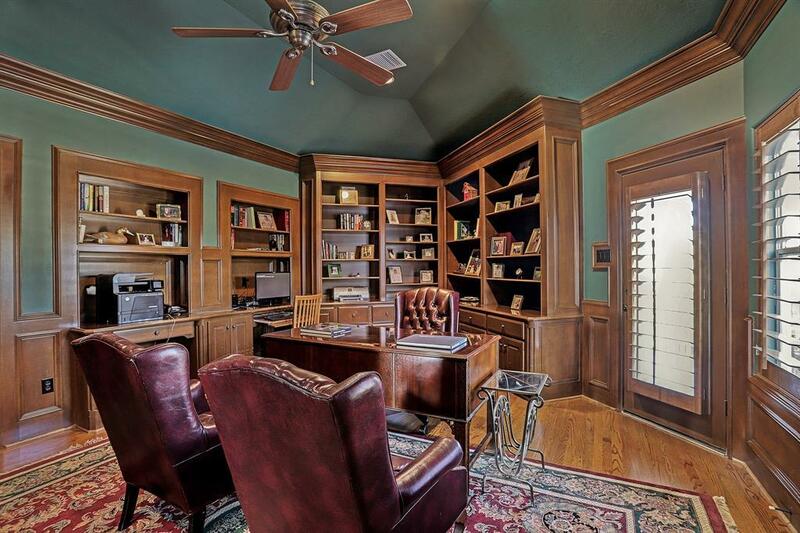 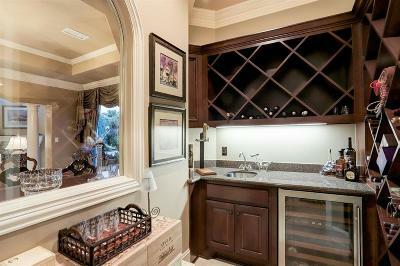 Media & game/billiard rms, childrenâs homework area + 4 BR & 2 baths. 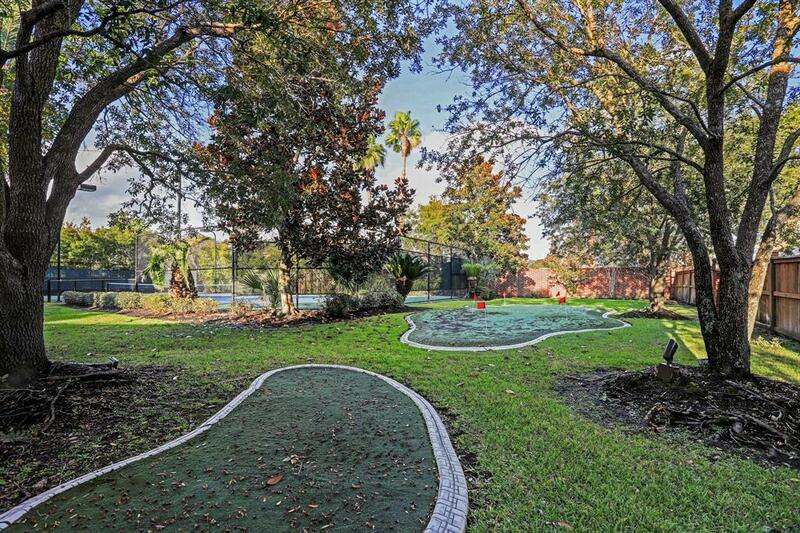 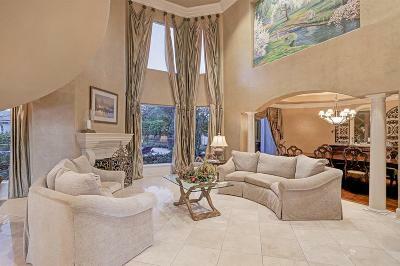 Paved, circular, gated drive to 4-car garage w/guest suite w/full bath also accessible to game/billiard room.